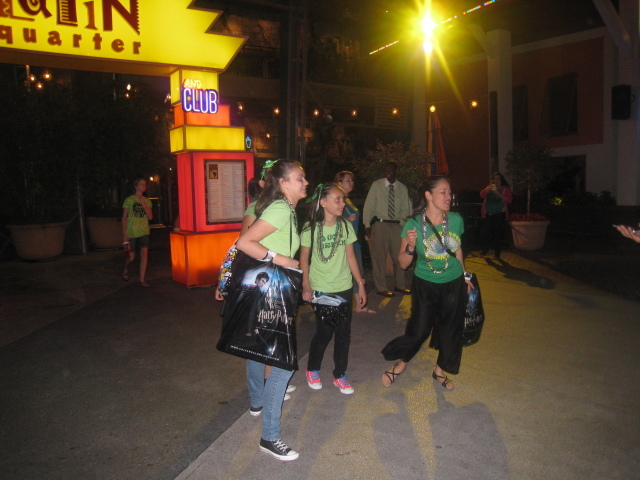 When we go to Citywalk in the evening we usually go early so we have a leisurely stroll along the front between Universal Studios and Islands of Adventure first. 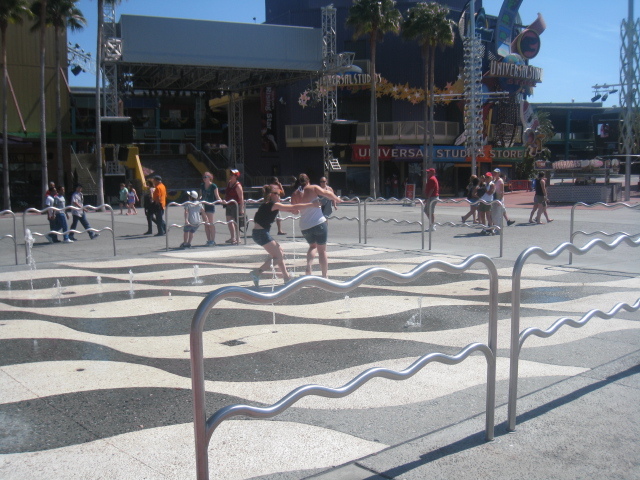 When the girls were younger on the hot summer evenings they used to love to run in and out of the water fountains that sprout up here and then let the sun dry them out as they wandered around. Of course now they are teenagers they would not dream of doing this! 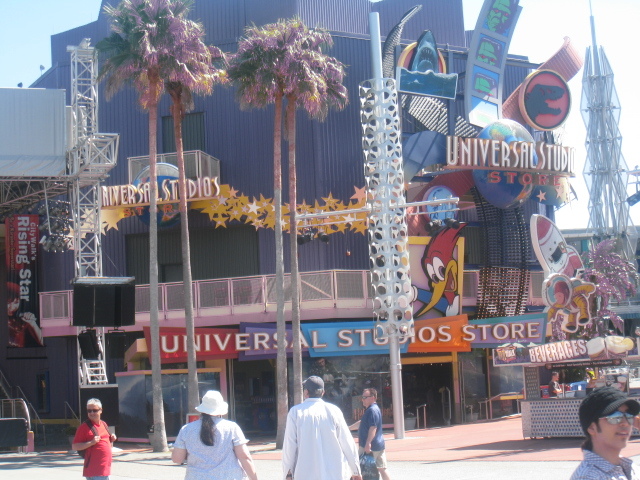 From here you can look back across to the colourful display of Universal stores. 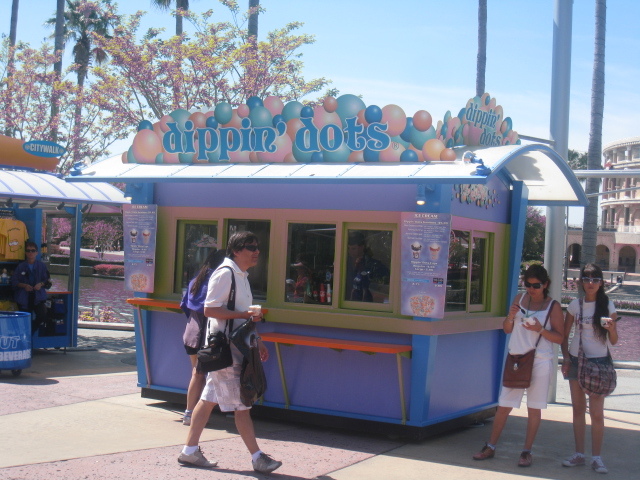 If it is some time before you plan to eat just by the water fountains you will find a Dippin’ Dots stall where you can get ice cream. 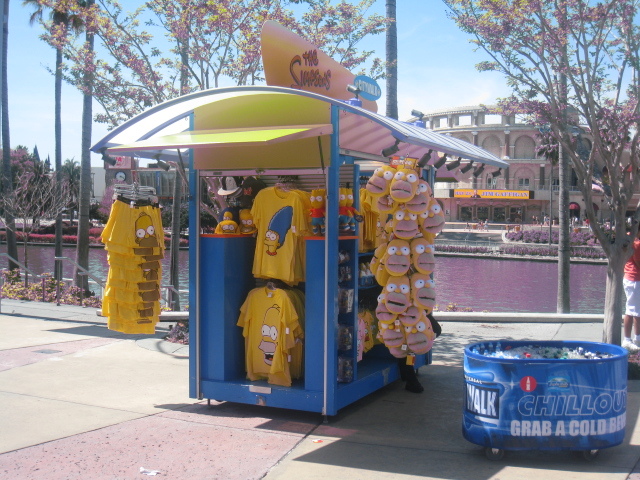 You will also find a small gift cart in this area. 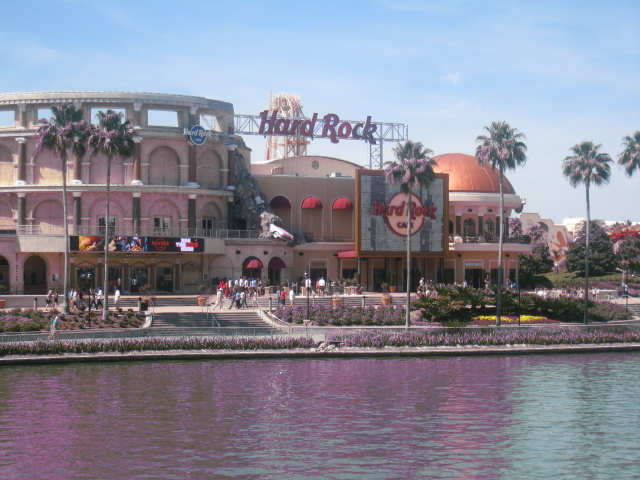 If you look across the water you will see the very impressive Hard Rock Café. Nearby is Emerills where they have a Happy Hour from 5. 00pm to 8. 00pm so we usually call in here for a drink. 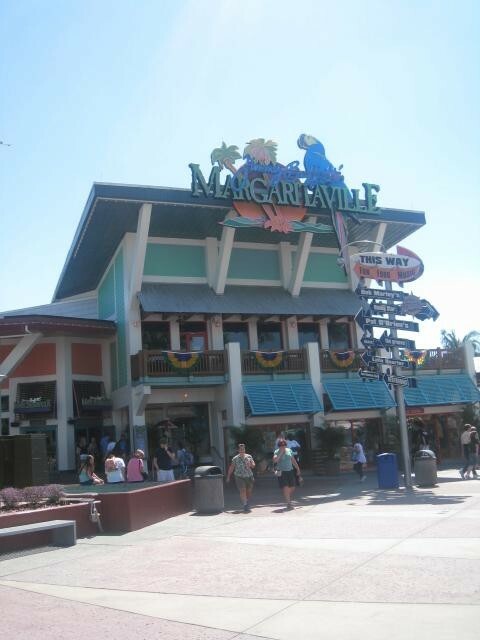 You will also see Margaritaville which is a good place to hear live music which is on at about 5. 00pm. 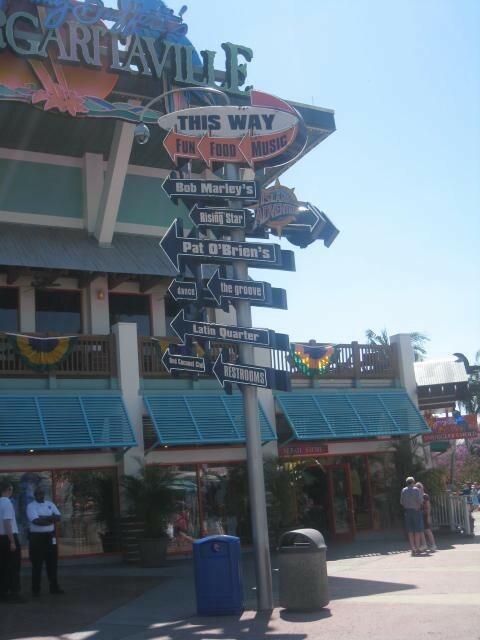 Outside Margaritavilla there is a great signpost for all the restaurants and night spots so you cannot get lost. 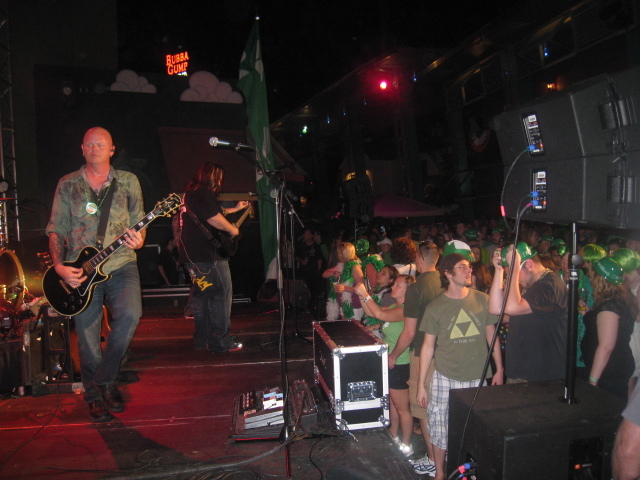 As night falls there is plenty of live music to enjoy and Citywalk begins to get busy. 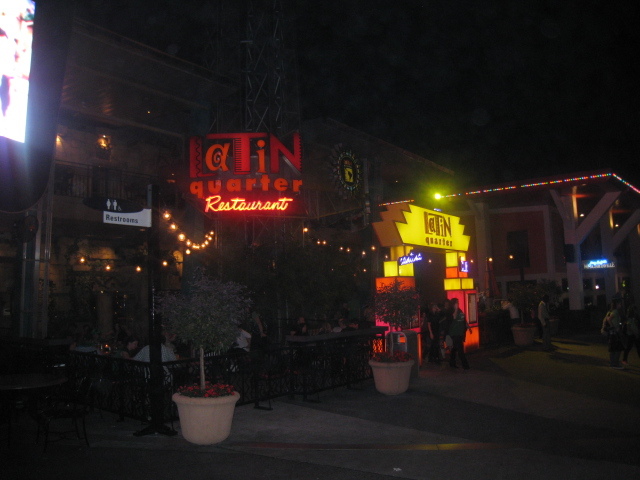 Last time we went we decided to eat at eh Latin Quarter which had been recommended by friends, we pre-booked a table on line. Upstairs you will find the Churrascaria which serves great food. My Father opted for the Salmon Ensalada my Mother and I enjoyed the Marinated Roast Pork while the one of the girls chose the Caribbean crusted Mahi Mahi while the other had the same as she has anywhere in the world Paella! We just about had room left to share a Mango Cheesecake. We went early in the week when the Latin Quarter is open from 5. 00pm to 10. 00pm but I believe on Thursday Friday and Saturday nights they have dancing late in the evening. 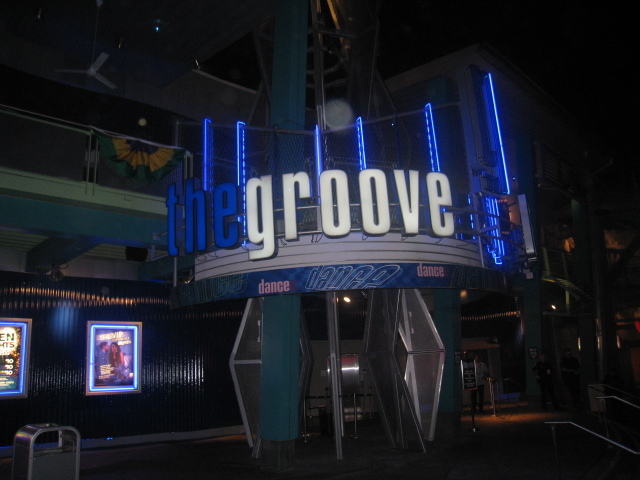 For those that like to party The Groove has dancing every night with a DJ between 9. 00pm and 2. 00am with 70’s and 80’s music. 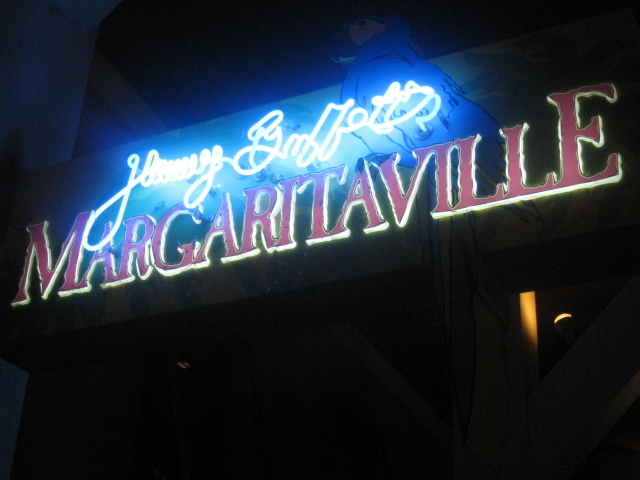 The admission is about $7 and as well as a dance floor it also has bars and lounges. While we were there it was Mardi Gras and as we left the restaurant we saw other visitors celebrating and wearing the free beads that were being given out. 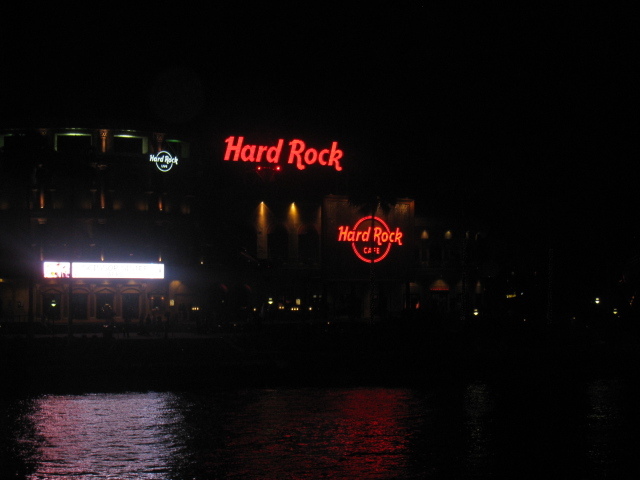 When we set off back to our villa it was really dark and Margaritaville and Hard Rock Café looked most imposing in the dark. Viewed 3040 times since 17 May 2012.